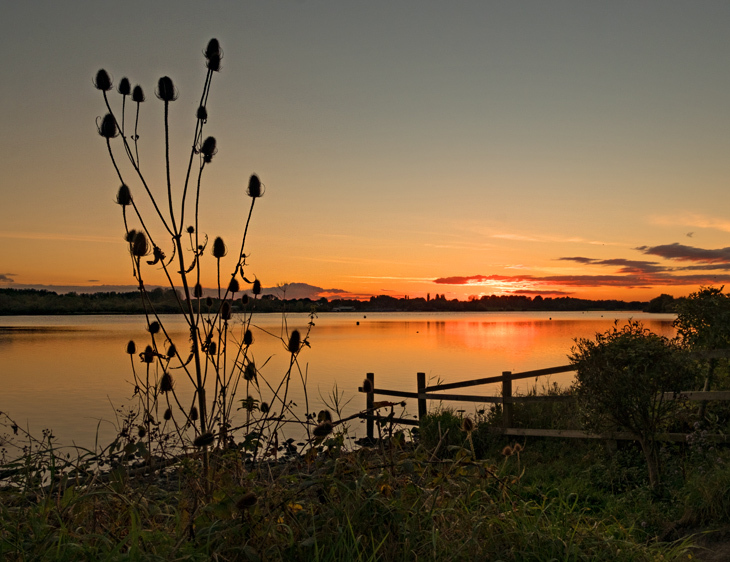 Teasels at Pennington Flash just after Sunset on Monday 10th October. In a single word, glorious! That's a lovely shot Dave...and a lovely composition. Gorgeous photo to wake up to ! WOW Dave, best yet, keep them coming. Just beautiful, so peaceful. Love it. Thats a stunning sunset and beautifully reflected in the water. Magic!